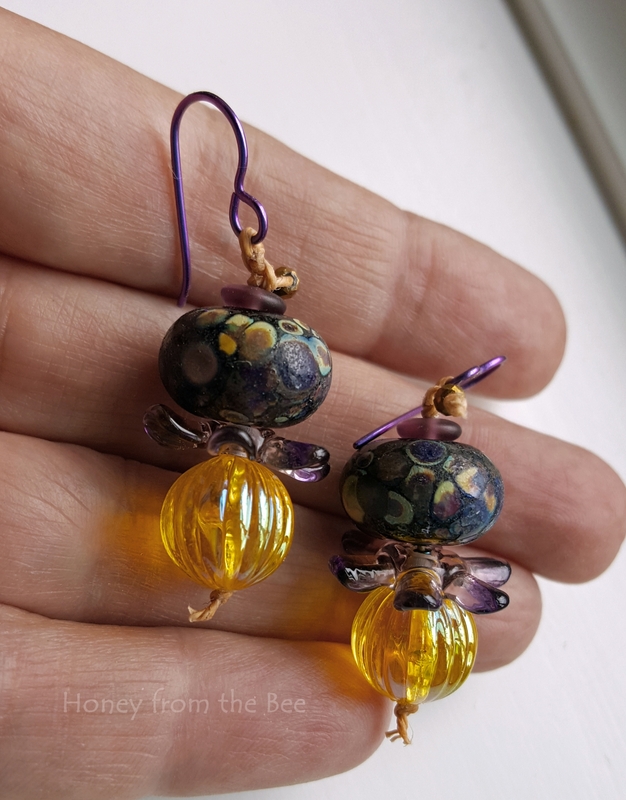 Beautiful lampwork earrings in shades of purple, blue and yellow are whimsical with their petal skirt. 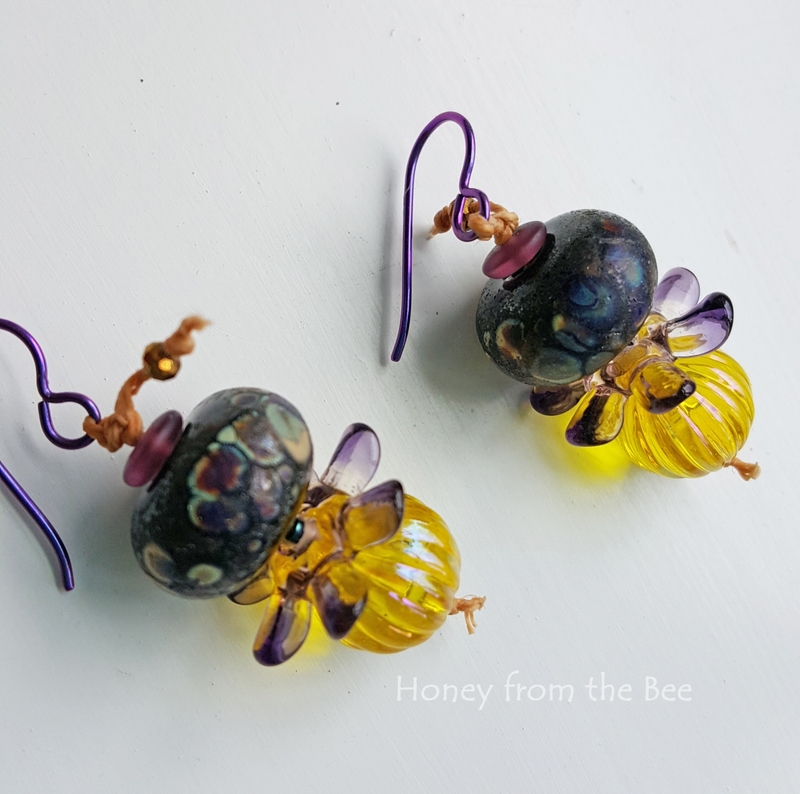 The lampwork I gathered for these reminded me of the wildflowers we recently saw along many of Montana's roads. The purple and yellow ones really caught my eye. 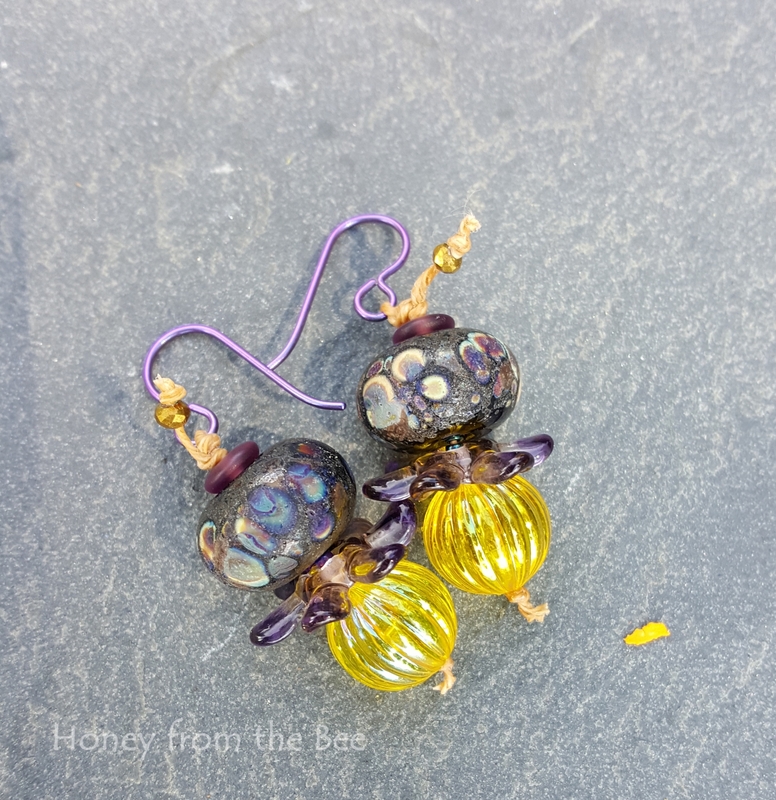 1.75 inches from the top of the earwire to the bottom of the lucite.